Swamps, pocosins, streamheads, wet margins. Common on NC Coastal Plain, uncommon in Piedmont, rare in Mountains. 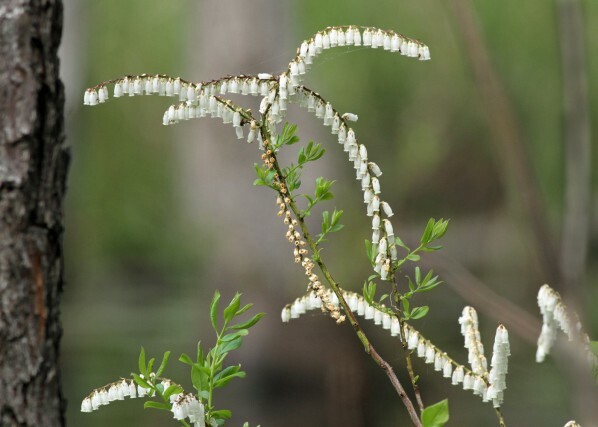 "Swamp Sweetbells" is a perfect name for this charming shrub with curving branches and bright-white blossoms all in a row. Not readily available in retail. Eubotrys racemosa form and habit. This shrub is often seen growing in standing water.